Ignite Online was recently contracted to design the livery for the 2012 Pepsi Max Crew V8 Supercar, driven by Australian motorsport legend Greg Murphy for the Kelly Racing Team. In designing the livery, we really wanted to do something that was specifically tailored to the shape of the car—following the body shapes and lines and making an effort to consider every angle of the vehicle, even the view from above. The new livery features a thunderbolt style design on either side, which cuts through the predominately electric lime green paintwork. In addition to the electric bolt down the side of the car, paint drips streaming backwards down the spoiler were added to further emphasise speed. We wanted to make the car look fast, even when it was standing still. Black racing stripes were also added as a subtle nod to Holden’s history, specifically the GTS Kingswood and Monaro models of the 60’s and 70’s, both icons of the Australian automobile industry. The car made its first public appearance on Friday, March 2nd, during Clipsal 500 practice at the start of the 2012 Australian V8 Supercar Season. Images of the new design also ran as part of the Pepsi 2012 ‘Cash or Car’ promotion, with the car featured on all Pepsi products Australia wide and in a television ad broadcast nationally. The team at Ignite is thrilled to have been a part of the project, and we appreciate the opportunity to be a part of the team. We’ve got a real taste for vehicle livery designs now, and are looking forward to next season’s V8s. Ignite Online was recently contracted to design the livery for the 2012 Pepsi Max Crew V8 Supercar, driven by Australian motorsport legend Greg Murphy for the Kelly Racing Team. Not only was the contract a confirmation of Ignite’s ability to produce top-level aesthetics, it was also an exciting opportunity to express ourselves artistically in a unique and original way. In designing the livery, we really wanted to do something that was specifically tailored to the shape of the car—following the body shapes and lines and making an effort to consider every angle of the vehicle, even the view from above had to be considered. 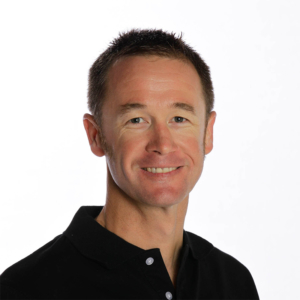 Greg Murphy. Four-time winner of Bathurst 1000. The new livery features a thunderbolt style design on either side, which cuts through the predominately electric lime green paintwork. In addition to the electric bolt down the side of the car, paint drips streaming backwards down the spoiler were added to further emphasise speed. We wanted to make the car look fast, even when it was standing still. Black racing stripes were also added as a subtle nod to Holden’s history, specifically the GTS Kingswood and Monaro models of the 60s and 70s, both icons of the Australian automobile industry. The team at Ignite is thrilled to have been a part of the project, and we appreciate the opportunity to be a part of the team. We’ve got a real taste for vehicle livery designs now, and are looking forward to next season’s V8s. In the meantime, we’d be happy to pitch on a vibrant new look for your own car, van, or even private jet, if you happen to have one handy!